NB! Once you start actively doing this, some people, especially your loved ones, can easily misinterpret this activity as obsessive compulsive disorder. Kindly refer them to this article to explain what it is that you are doing! The method is actually pretty straightforward. 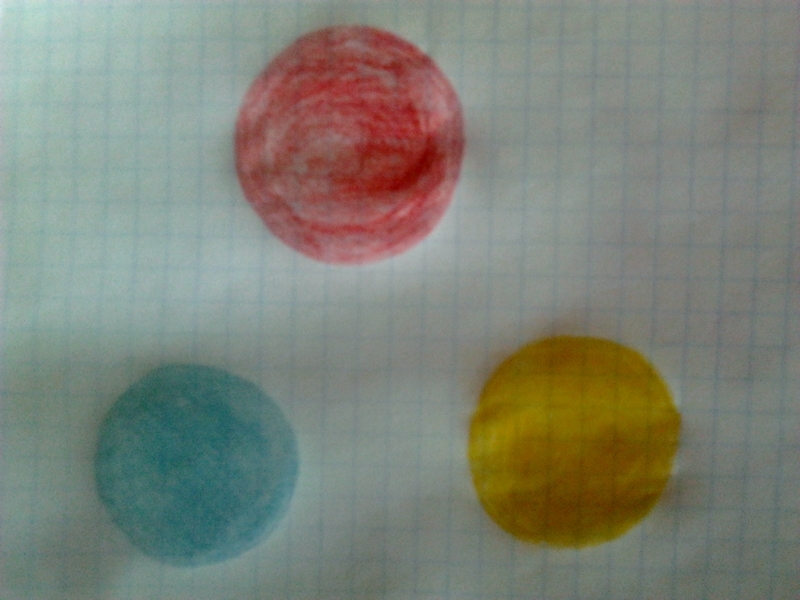 Starting from today, take one of your sheets of paper and draw a circle in the middle of the paper. When you have done that it’s time to fully color the inside of your circle. The trick is to try and draw a perfect circle by hand without using any special tools whatsoever. The more time you spend drawing and perfecting your circle, the better the end result! Use a new sheet of paper every day. A circle is an object that represents fullness and completion. When you are drawing a circle you are effectively reprogramming your brain into thinking about this which in turn makes you feel fulfilled and complete. In order to REALLY max out the effect, it’s important to fill the inside of your circle otherwise you might start feeling emptiness in a very short time. It takes about 5-10 days to “kick in”. You will not notice the change at first and in the beginning it will most likely feel very tedious and stupid drawing circles every day. Don’t give up! It’s perfectly normal to feel this way because over the years we have built ourselves certain behavior patterns that society considers to be the norm and our brain is trying to weed out everything odd and peculiar. In reality when you really think about it, drawing circles every day doesn’t necessarily make you insane so there is no need to feel this way. Your brain just tries to tell you this in order to fit into the common social mechanism. It’s kind of like self preservation really. It’s best to draw a circle with a diameter of at least 2 cm, the bigger the better. If your circle is too small your brain doesn’t have enough time to really get into the “mood” and it will dismiss it as something unimportant. It’s better if you do this in the morning as you’re eating breakfast or drinking your coffee. This way your whole day will feel a little bit better. By the way, try to not drink more than one cup of coffee every day. If you happen to have blue, red and yellow colors then you can even change the way your entire day will unfold! Simply paint the circle blue if you want to have a relaxing and calm day. Red if you need to be successful in something (job interview, exam etc.) or yellow if you need to stay friendly (going out with friends). Don’t stop after 30 days! While one month should be enough for the average person, it can sometimes take a little bit longer. We are all different after all. And even if you are feeling like a whole new person after a month, you still don’t have to stop. When you continue doing this, you will make sure these effects are not fading away over time. You will start feeling so good that you can’t help but tell others about this too!